In recent years Kale has gained a lot of popularity as a “super food” thanks to its health benefits, versatility and low calorie count. Not only it is rich in vitamin A, B complex, C and K; but kale is also loaded with iron, fibre and antioxidants. Favoured mainly by those looking to maintain a balanced diet or hoping to shed a few pounds, this leafy green has also gained a lot of attention due to its cancer preventive abilities. The benefits of eating kale go well beyond the health field though as it can also provide a load of beauty benefits such as radiant skin and healthy, strong hair. All in all, kale is a nutritional powerhouse that no one should pass up, and its versatility means that anyone can add it to their diet in many ways; from adding it to smoothies and stews to using it in stir-fry dishes and even making healthy crisps with it! So, if you are looking for a way to add some nutrients to your meals, you should definitely give kale a go. 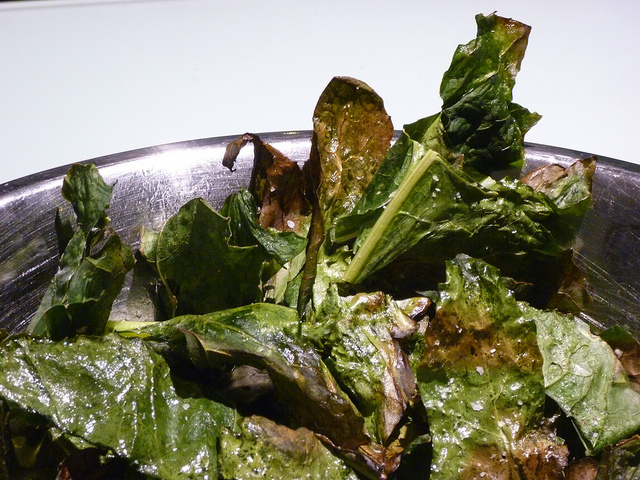 This sweet and salty kale crisps recipe for example is great as a side dish or as a healthy snack. Even though kale is hard to beat when it comes to the number of nutrients it provides, remember that the key for optimal health is a balanced diet. So, apart from indulging in this super food, make sure to give your body all of the nutrients it requires and not to skip essential minerals like salt, which your body needs to function properly.